With Luxury Supercar Weekend 2013 around the corner, the first surprise has landed. The car was delivered late Monday night. 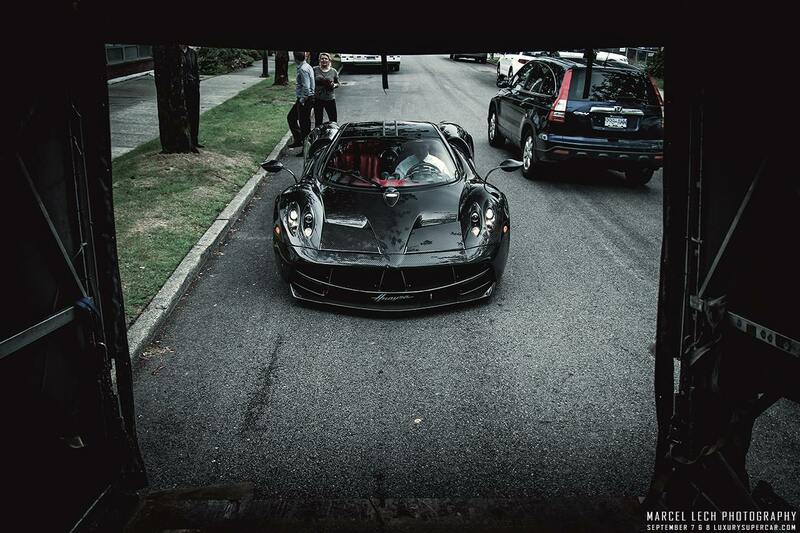 After being shown at Quail 2013, the Huayra stopped by San Francisco before making it’s way up to Vancouver. This upcoming Saturday and Sunday, the Huayra is set to be one of the highlights at the annual Luxury Supercar Weekend show. Special thanks to Pfaff Auto & Marcel Lech for this amazing gallery. Now in its fifth year, and for the third time in Canada, this lifestyle weekend is the Nation's finest two day outdoor showing of Luxury & Supercars. The 2013 event once again offers a unique up-close and personal opportunity to view the world’s most important examples of automotive achievements. Each car on display be hand-picked by the Concours d‘Elegance selection committee. Automotive enthusiasts of rare luxury supercars, vintage collectibles, electric/hybrid and concept cars will get the chance to view automobiles that are normally displayed only at select elite international automotive events. The center of the event takes place on the manicured Great Lawn of VanDusen Botanical Garden, offering the perfect backdrop for a ‘Garden Party’ atmosphere. With a high profile guest list and entertainment to suit upscale tastes, The Luxury & Supercar Concours d'Elegance is the most anticipated automotive, lifestyle and fashion event on the Metro-Vancouver social calendar.